Today, we’ll be taking a look at two of Dyson’s most popular models: the Dyson V10 and the Dyson V8. First, let’s take a look at the design. Both vacuums have a similar design. The handle includes the motor or cyclones, dustbin, battery, and trigger. Both vacuums have a wand, which you can use as a stick vacuum or as an extension for handheld use. And lastly, both vacuums also include a motorized brush roll cleaning head. Both the V8 and the V10 have a similar size. Both are approximately 49 inches tall and both are 9.8 inches wide. The V10 does have a slightly larger cleaning head at 10.1 inches compared to the Dyson V8 which has a cleaning head of only 8.8 inches. Lastly, the Dyson V8 is slightly lighter than the V10. The V8 is 5.75 pounds and the V10 is 5.9 pounds. Both the Dyson V8 and the V10 come with a wide variety of accessories. However, it is important to note that the specific accessories that come with your vacuum will depend on the specific model that you choose. There are three main versions of the Dyson V8 and V10: the Absolute, the Animal, and the Motorhead. 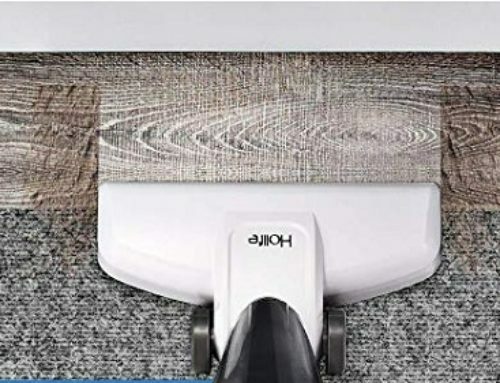 For both the V8 and V10, the Absolute version of the vacuum comes with the most accessories and most notably includes both the multi-surface cleaning head and the fluffy soft roller cleaning head. The Animal version of the V8 and the V10 includes all the same accessories that are included with the Absolute. The only thing you miss out on is the soft roller head. Lastly, the Motorhead version includes the fewest number of accessories but still has the essentials. For our hardwood floor cleaning tests, both vacuum performed quite well. The only slight problem area was the V8 did struggle a little bit on the cereal test. However, it should be noted that we did not have a version of the Dyson V8 that included the soft roller brush like we did on the V10. Had we had that, we would expect performance to be closer to that of the V10. Our tests on both low and high pile carpet were no match for both the V10 and the V8. Both vacuums performed nearly flawlessly across the board on both carpet types. One of the biggest pros on both the V8 and the V10 is simply how versatile they are. Both vacuums can be configured as a stick vacuum or a handheld. And the variety of attachments can be used directly on the handheld or on the end of the extension wand for extra reach. Overall usability is excellent and virtually the same on both vacuums. One of the biggest differences is simply the dustbin. The V8 uses Dyson’s older dustbin style which requires you to pull a lash up to release the dustbin over the trash. The V10 uses a new point-and-shoot approach which allows you to have the dustbin deeper into the trashcan allowing for more hygienic dustbin removal. Maintenance is fairly straightforward on both vacuums. Both vacuums include a lifetime washable HEPA filter at the end and the V8 also includes a lifetime washable central filter. In both cases, you just want to wash the filters about once per month in cold water and allow to air dry for around 24 hours. Both batteries are quite good in their own regards. However, the V10 is definitely better. 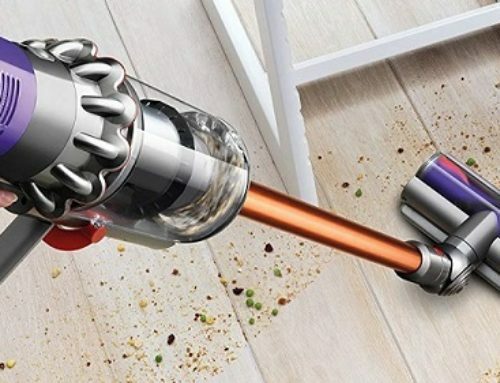 Both batteries take around 3.5 hours to fully charge, runtime on the V8 is around 40 minutes and run time on the Dyson V10 is around an hour. Long-term battery usage on these vacuums is perhaps the biggest difference. The V8 uses a more typical lithium-ion battery it should last two to three years, maybe a little bit longer depending on your usage. The V10, however, uses a more advanced battery, which according to Dyson’s founder, James Dyson, will last for at least 15 years. If that is the case or even anywhere close to it, that should make the battery on the V10 last effectively the entire life of the unit. Annual maintenance costs on the V8 will come in around $32 a year which accounts for replacing the battery every two years. Since the Dyson V10’s battery will last the life of the unit, its annual maintenance costs are effectively zero. 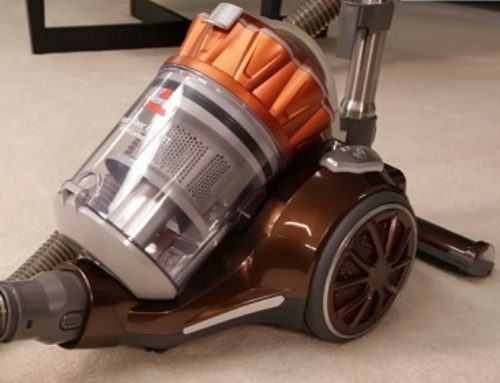 So which of these vacuums is better, the Dyson V8 or the V10? Ultimately, both these vacuums are excellent choices. Both dominated our cleaning tests. Both are lightweight and mobile. And both are built to last. To decide which is best will depend on what factors are most important to you. 1. The V10 has a longer runtime running for 60 minutes compared to the V8’s 40-minute runtime. 2. The V10 has a larger dustbin at 0.77 liters compared to the V8’s 0.54-liter dustbin. 3. Lastly and perhaps most importantly, the V10 has an annual maintenance cost of effectively zero compared to the V8 which will cost around $32 per year. Beyond that, the biggest difference is simply price. The Dyson V8 is around $200 less than the V10. So it really is a question of whether or not the increased runtime, larger dustbin, and reduced maintenance costs are worth that $200. In my opinion, it’s a definite yes. Even if we ignore all of the functional differences between the V8 and the V10, the Dyson V10 is simply going to be a less expensive vacuum to maintain in the long run simply due to the fact that the maintenance costs are effectively zero. When you stack on the other factors, it really is a no brainer in my opinion. The Dyson V10 is all around the better vacuum and the better value.